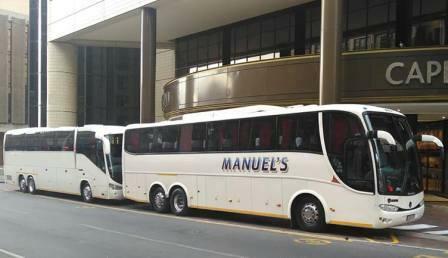 Manuel's Bus Services Is a travell company registered in South Africa provide to you a deluxe motorcoach travel, touring and transport needs. 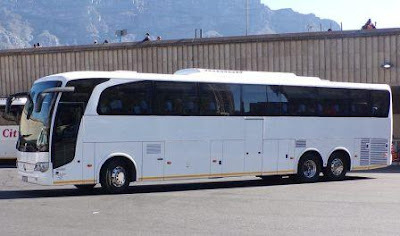 They have a good reputations in providing safe and reliable motorcoach transportation at a cost effective price to suit all customer needs. Manuel's Bus Services has been providing safe and dependable transportation to its customers for over 30 years. They operate motorcoaches which are some of the most modern of the road today. Manuel's will be happy to arrange all of your tour and travel needs with experienced sales staff. With the finest motorcoach operators in the business, all of whom are ready to ensure your comfort with vast driving experience and smiling faces, Manuel's is ready and willing to take you to your destination today. They have a modern latest bus models from Scania and Benz makers with a beautiful Marcopolo bodies and other bodies by Europe body manufactures. 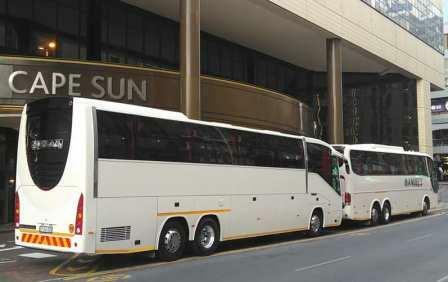 Their buses are clean and they are using latest technology to give you a comfort travell within South Africa. 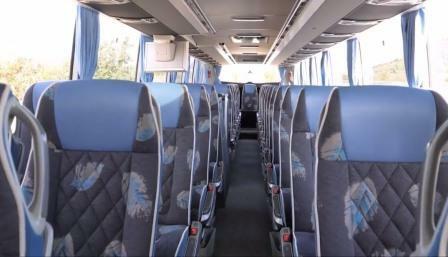 Their buses have 2 by 2 seating arrangement with enough Legs space to give you comfort travell and enjoying your trips. Most of their main buses have an A/C services and an option to switch off or on around your seat space. Some of the buses have Charging system for yo to boost your smartphones and entertainment services also available to refresh you. They have slim Television on each side of their buses as well as sound system for music playing and listening. Manuel's Bus Services is available for groups of all sizes. Their priority is to provide the best service possible. 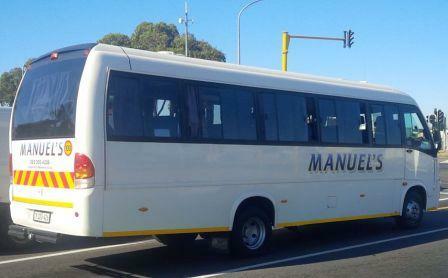 At Manuel’s Bus Services, Their transportation experts will be happy to assist you with all your transportation needs.